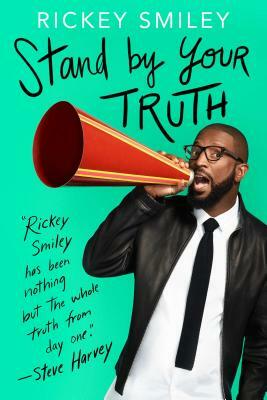 Part memoir, part testimonial, and part life guide, Stand by Your Truth mixes Rickey Smiley’s down-home humor with the values he learned from being raised by three generations of elders, steeped in the Baptist church, and mentored by some of the most celebrated comics in the entertainment industry today. But in between the rapid-fire jokes and celebrity dish are flashes of how Rickey views the world, from the challenges of raising children, to the importance of education, to the need to always stand by your own truth. After more than two decades in the spotlight, Rickey is finally ready to delve more deeply into the opinions he voices on the air, riffing on those issues that his listeners, viewers, and fans find most important. This collection of personal and powerful essays will speak to readers from all walks of life, and is sure to inspire you to Stand by Your Truth. Rickey Smiley is a stand-up comedian, television host, actor, and radio personality. He starred in the sitcom The Rickey Smiley Show, which aired on TV One, is a featured columnist on the Fox-produced tabloid show Dish Nation, and in 2015 began filming Rickey Smiley for Real, a reality television series about his life as a single dad and entertainer, airing on TV One. He is currently the host of the nationally syndicated radio program The Rickey Smiley Morning Show, and has released eight chart-topping comedy CDs. He splits his time between Birmingham, Atlanta, and Hollywood, Florida, with his family.